Welcome to the website of A Room With A View, a family-owned conservatory and glazing business founded in 1988. Based in Dorking, we cover the local Surrey area, including Dorking and Reigate. 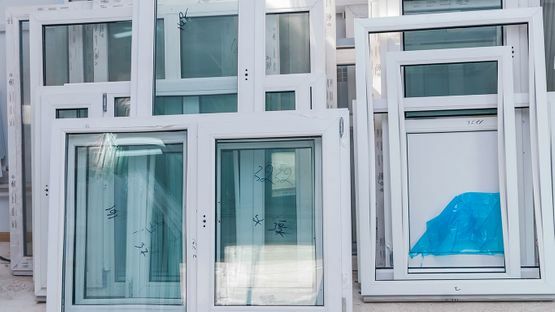 Our team has a wealth of knowledge and hands-on experience of supplying and installing everything from conservatories and replacement windows to double glazing and secondary glazing. We believe in delivering outstanding customer service, insisting on using market-leading products to meet the highest industry standards. We have more than two decades of experience in manufacturing and three decades in installing. Excellence is a standard feature of our service that helps to reinforce our position as one of Surrey’s most trusted independent conservatory and glazing companies. From installing conservatories of all kinds to replacement, casement, tilt-and-turn and vertically sliding (Box Sash) windows, all available in PVCu, aluminium, softwood and hardwood, we deliver a first-class service to our customers. Old windows offer very little energy efficiency and they can also cause cold draughts to run through your home. When you choose our modern replacement windows, you are sure to get a product that improves your property. One of our specialist areas is conservatories. 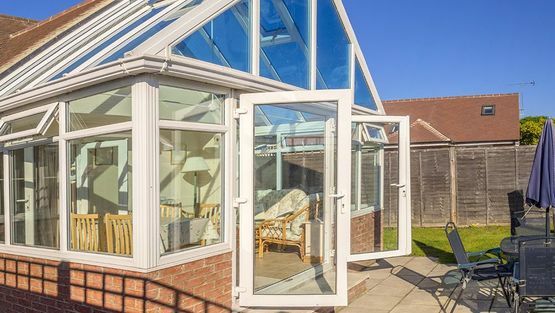 We have an excellent reputation in the local area for our ability to produce premium-quality conservatory installations that provide style and functionality. 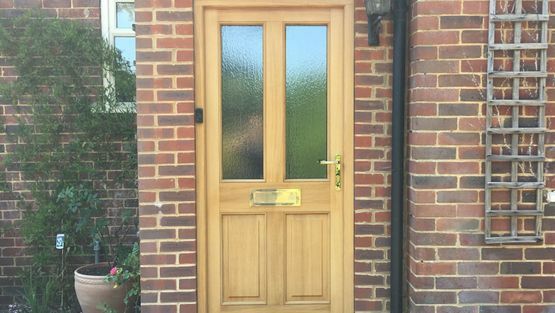 To complement our double glazing and replacement windowservices, we supply and install high-quality doors in a variety of standard colours. We also take wheelchair accessibility and limited mobility factors into account by offering low threshold options. Contact our glazing company now, in Dorking, Surrey, for more information about our double-glazed windows and products. Whether installing conservatories or supplying replacement double-glazed windows, A Room With A View controls all aspects of the process. Based in Dorking and working throughout Surrey, we use our industry experience to manage even the most challenging of projects. Our company understands the intricate elements needed to produce market-leading double glazing and secondary glazing for property owners, particularly those in listed buildings and with character windows. That is why you can rely on us to supply glazing of the highest standard no matter what you are looking for. A Room With A View is proud to be a longstanding member of the Glass and Glazing Federation, Conservatory Association and is Trust Mark registered. We are so confident in the quality of our products and services that we offer a full 10-year, insurance-backed guarantee. For expert help and advice, a full consultation and a no-obligation quotation, contact our helpful and friendly team today. 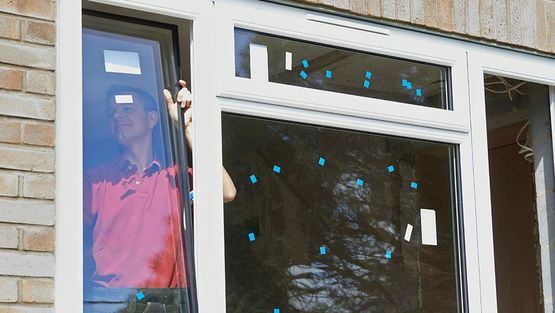 We offer a full supply and installation service that is delivered by qualified tradesmen with many years of experience in the glazing industry. A Room With A View is a fully insured and trusted business with a genuine passion for the conservatory and glazing marketplace.